Serena Williams in the Western and Southern Tennis Open at Lindner Family Tennis Center. Williams is visiting Philadelphia this October in the Pennsylvania Conference for Women. 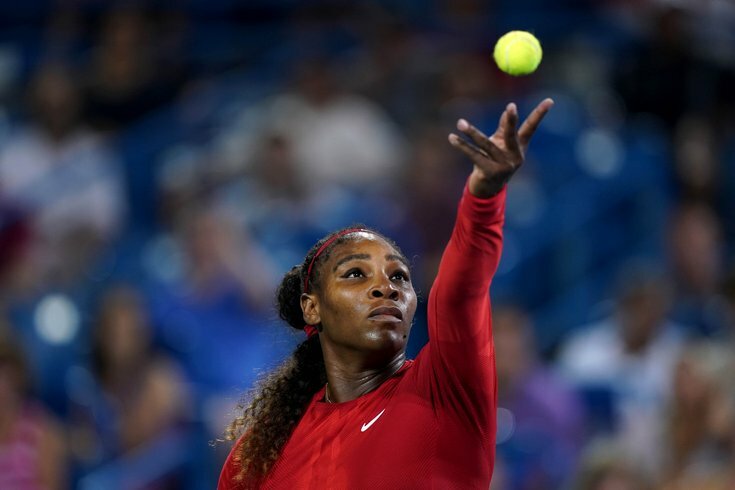 Superstar tennis champion Serena Williams is visiting Philadelphia this fall as part of the Pennsylvania Conference for Women, serving as the keynote speaker in an already impressive lineup. Williams, who has won 23 Grand Slam singles titles and 14 Grand Slam doubles titles throughout her career, will address the conference's approximately 10,000 attendees on Saturday, Oct. 12 at the Pennsylvania Convention Center. Williams is also known for her philanthropic efforts as an ambassador for UNICEF. Also appearing at the conference is international human rights lawyer Amal Clooney, whose clients have included Wikileaks founder Julian Assange and the Republic of Armenia. During a post at the United Nations, Clooney was a senior adviser to diplomat and Noble Peace Prize winner Kofi Annan when he served as the UN Envoy to Syria. Comedian and New Jersey native Maysoon Zayid will also also speak at the conference. Zayid is the first person to ever perform stand-up comedy in Palestine and Jordan. Ellen McGirt, the senior editor at Fortune magazine, and Amanda Southworth, a 16-year-old developer and advocate of mental health, are also among the speakers. Cecily Tyran and Tamala Edwards from 6ABC are included in the event as well. The conference, which is now sold out, is described as fostering "inspiration, motivation, networking, personal and professional development, and community." Last year's event featured a conversation between former First Lady Michelle Obama and "Grey's Anatomy" executive producer Shonda Rhimes.